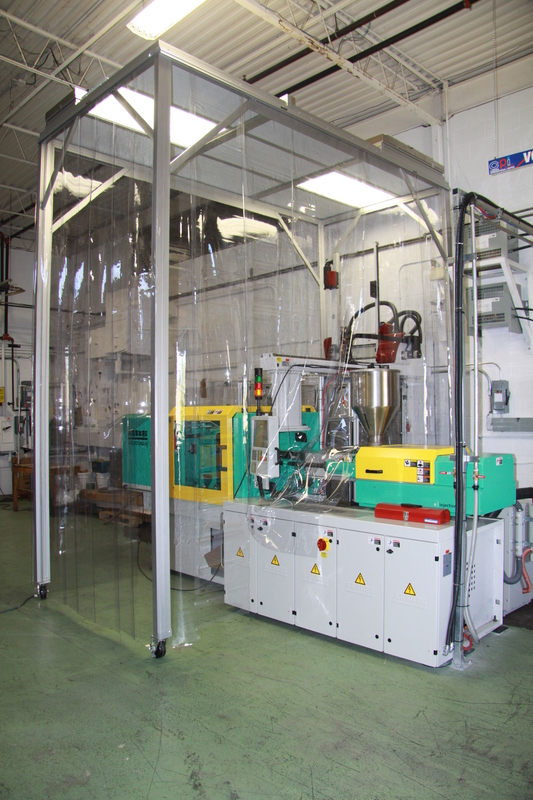 Custom Plastics International Ltd recently purchased 2 modular ISO-7 Class 10,000 cleanrooms for use in our Cobourg, Ontario manufacturing facility. The purchase of these cleanrooms will allow Custom Plastics International Ltd to further expand our service capabilities to include molding and assembling plastics for the medical field that require classification to ISO-7 Class. Custom Plastics International Limited also recently became involved in developing automation and tooling for In Mold Decorating applications, the cleanroom is paramount to the success of these applications due to the static charging used during the In Mold Decoration molding process. In a normal injection molding production environment the charging of the IMD would attract airborne particulates to adhere to the IMD and tooling, this would result in cosmetically unacceptable product. Custom Plastics International Ltd has the capability of automating the decorating of your plastic projects with the use of IMD, this technology can save you money and also provide you with superior decoration.